This is a brand new set of Piranha Golf Performance Cavity Iron heads, .370 hosels. This is from my friend Jim Battin. 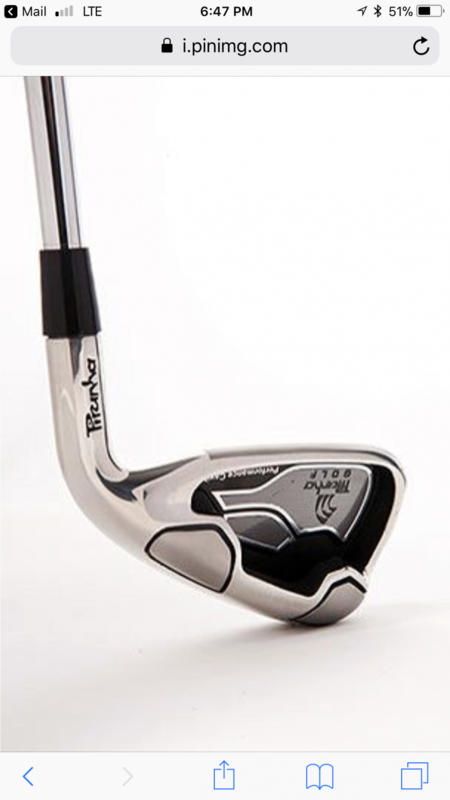 They are very similar to the Infiniti KO irons ftom a few years ago. Infiniti used 431 ss, and Piranha uses 301 carbon steel per their website. Update: the heads are actually 4-GW, not 5-PW. $95.00 shipped Continental US. PayPal to cpanther1995@bellsouth.net. I have the Infiniti KO heads that are exactly the same look/style. Been playing them off & on for around 4 yrs. and they are just about the nicest heads I've ever hit. The KO heads have the 'modern' lofts though and I see these have the 'old school' lofts. That, in itself, should be attractive for several players. Plus, iirc, I paid a hell of a lot more for those Infiniti's than you are asking here. Piranha May have used the same factory that Infiniti did, and just made some changes. They have a following from what I understand down under and in the UK. Not a lot of buzz in the US. High quality components though. Jim has 2 of these sets. Trying to help him I figured I would list them here. I’m thinking about a set for me. They look incredible. And I just replied to it. Yes heads are still available. I called Jim to see if he still had 3 sets. He has 2, and they are both 4-GW. He did have a 5-PW set and it’s gone. He would like to get $95.00 total for the 8 iron heads shipped. This is still a great deal. 1 set sold to raggmann54 pending PayPal payment. 1 set left. The heads will be shipping to you soon. Awesome! When you get to play them let me know how they do for you.